I recorded this original guitar composition in DADGAD tuning, and it was the very first time I had dropped my guitar into the tuning scheme. There is an intentional dischord, disharmony, and overly eager quality to the melody, as if it were butterflies in the stomach of the theme of the moment. As is prone to happening, the first riff that I strummed quickly carried me upstairs to record and I hope you enjoy the instrumental piece. Watch the performance video here. I bought the Kepma Elite D2-140 Koa guitar myself, watch my video review. I was not paid for this review. The review and the thoughts of this video are my own. I love trying out new guitars, and I had experimented with a variety of body styles in previous videos, from cutaways, to mini jumbo guitar bodies. I missed the full-sound of a dreadnought, and never had the opportunity to own a guitar with koa back and sides before. Koa is known for having a little more low end, and dark sound, than mahogany or rosewood. I found the sound to be very balanced in this guitar. When I read that Kepma Guitars tunes the body of their guitar, similar to guitars I have seen built in Santa Cruz, California, I wanted to find out more about the company. This guitar represented a chance to experiment with a new wood, and also have the consistency of North American Sitka Spruce, aged to 150 years, for durability and projection of sound. I also read about Kepma and the AcoustiFex System to apply effects like reverb, chorus, and delay, when the guitar is either plugged in, or unplugged. This was something I really wanted to evaluate for myself. I also like to have aesthetics that are pleasing, and worthy of being featured in my free weekly song reviews. The New Zealand shell handcraft inlay was stunning to me, and the fretboard’s Mother of Pearl white rose shell inlay was a double-play that put my purchase interest over the top. I hope you enjoy the unboxing and the demo of the Kepma Guitars Elite D-140 Koa. I test out the audio with a variety of different AcoustiFex settings, ranging from reverb and chorus, to hall reverb and delay, to give you an idea of what the guitar sounds like unplugged. Then I plug in, and record an acoustic version of “Slow Dance”, one of my favorite original songs, with only the effects built in on the guitar, and for the first minute and a half there are no effects at all. No volume or effect processing was managed in my DAW recording software. This is to give you an example of the raw input when plugged in. I was surprised how well the lead guitar track cut through the mix, that was unusually well done by this guitar. Take me down, think this through. Set me up, make me new. Decode my hands, bring me back into this world. I see no straight lines, only cumulus clouds and swirls. No escape, so I must Dance. We arrive, close the door. Take me up to the top floor. Full thrusters, Into the atmosphere. Terror, lies, and deceit await. Thanks for listening, downloading, and sharing! 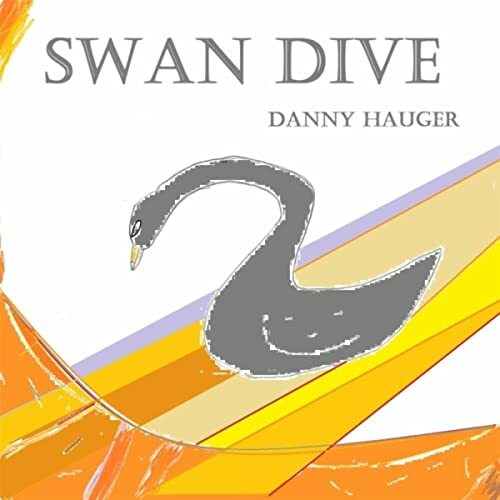 Subscribe on iTunes to Danny Hauger Podcasts, and Inspiring Teachers! 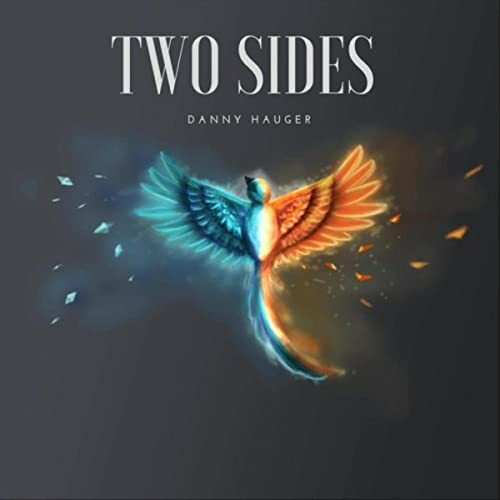 Support Danny Hauger music on iTunes! Would a day shape up? Take me to another time. Teach me how it happened then. Teach me along the line. Let me make up my own mind. I’ll let you when I’ve made it. I don’t want to think with you. I’m not here right now. And I’ll have some peace of mind. Open up a book to read. What a way to disagree. Nashville is a prime location for American tourism. Founded in 1779, this city has long been a happening and eventful place along the rail and transportation lines of America's expansion. Today Nashville economy, jobs, and population is expanding quickly and the knowledge of this Davidson County gem is shining bright. How could Danny Hauger Travel podcasts not visit Music City? I'm Danny Hauger, and this is Nashville, Tennessee In this special edition, I explore what Nashville, Tennessee has to offer. Watch the video overview of my Nashville trip here. At the end stay tuned for a special live version of my song, "Slow Dance". Take in the top venue for country music history at Ryman Auditorium, formerly the Grand Ole Opry, see a real Nashville recording studio, and enjoy the sights and sounds of Tennessee capitol city! I want to thank Visit Music City for their assistance in arranging some of my reservation details before the trip. More information on the places I visited and the VIP Star attractions pass can be found at their website. All of the opinions in this video are my own and I was not paid for them. https://www.visitmusiccity.com/ is a great site for more information on the best things to do in Nashville, Tennessee from Danny Hauger Travel Podcasts. Music in this channel is written, recorded, and produced by Danny Hauger. TAE Kim and I make a great team, and this is the third or fourth collaboration track that I get to share with you. He is a superbly talented musician, and he lends his violin and piano to my new song "All My Weight", which really classes up and broadens the feel of this song. It will definitely be on my 2020 album that is in development, and I am grateful for his musical abilities and friendship! I’ll take your hand in mine. I’ll lead you, though I am blind. Life has taken it’s toll. Shrink with me, I’m carrying all my weight. Bear with me, I’m barely keeping up this pace. I’m surprised, the compromises one must make. I’m dumbfounded by this place. Tempt me, with a line from a Shakespeare play. I don’t realize what the words might mean. I’ll make my own, and my own home. The mother tongue that stole my fun has set me off. Transmit me to a place I’d rather be. Now, like Laguna Beach in summer. I can’t afford to see your daughter. I can’t it afford it. That I can’t trade for unlimited energy. But will you be here when I need a friend? I’m not afraid of who might like this. I would just like to be part of this. And a solar flyer to take me around this world. Dave Streudalinsky called me today and asked for a new song for a video he is making of drone footage in Canada. I am a big fan of Dave's work and Youtube Channel, so I set right to work creating some new music for him. I used my Seagull Maple Performer Series CW to improvise some chords while I watched the footage, and the lead wrote itself basically. It was a pleasure to sit down with a simple musical objective: watch some beautiful footage, and write some music that fits. What a joy. Thanks Dave. Enjoy this free acoustic instrumental everyone! I'm eager to find a time to talk this out. You’re worried the things I say might make your choice. You've got Limited minutes, to paint your brush. I would colonize earth, and abandon Mars. Time stretches matrices, and I can't bend. You've got limited minutes, that you can't lend. Time cares for eminence. Havent you read? Before you listen up, you've already said. Time stretches clay and doubt, the past will reign. You've got limited minutes, to use your brain. For the 9th free song of 2019, this song is called "Blind Spot". It's a demo version with an unplugged acoustic guitar, vocals, tambourine, and a little bit of harmony. The song reminds me a little bit of early unplugged Oasis sessions with Noel Gallagher singing a bit raw on a song that is still in progress, I improvised some of the vocals, but I still enjoyed the flow and the heart behind it. I think it has a good chorus push, and some potential for the end of the year album cutting process. Thanks for checking in and listening! I’m logging in, I’m logging you out. Come and be present, come here me out. If we let this moment, it will pass. One then another, until the last. This day, it feels like we’re wasting it. This life, we’re only tasting it. There’s so much more. I feel like I’m called now, to get what I’m worth. To put away distractions and get back to work. There’s limited time here, the coil unravels. The busier you keep yourself, the faster you travel.